The Notice of Hearing you received from the California Unemployment Insurance Appeals Board (usually on mustard-colored paper) contains important information about your appeal. You have already seen that it provides the date, time, and place of the hearing. But it provides much more information than that, such as who may be attending the hearing, the name of the Administrative Law Judge assigned to your case, and the issues to be decided at the hearing. Click here to learn more about the valuable information contained in your Notice of Hearing. whether you should be required to payback benefits you received from the EDD along with a penalty assessment. the amount of benefits to which you are entitled. We are in the process of preparing guidance for you on many of these issues, so please check back regularly for specific information on how to prepare for your particular case. There will be two basic types of evidence: oral and documentary. The oral evidence will be the testimony you provide at the hearing. All testimony is provided under oath so before the testimony starts, all witnesses will be asked by the Judge to swear or affirm that the testimony they are about to give is the truth. Everything said at the hearing is being recorded by a tape recorder. There is one microphone and it will be on the table in front of you. Be sure to speak up so that the mic picks up everything you say. If you need to appeal your case, you will need a clear record of what you said. The Judge ask questions of each witness at the hearing. Try to answer the questions of the Judge as plainly and forthrightly as possible. If the Judge needs to ask a follow-up question, he or she will do so. It is tempting to try to give the Judge a lot of background information when answering a question. If you need to provide the context for a particular answer, do so as succinctly as you can. If a document, such as an email or letter, can help to explain your answer show the document to the Judge. Most forms of documentary evidence will be admissible at the hearing, but only if it advances an understanding of the issues in the case. Letters, emails to and from your employer, portions of an employee handbook, paycheck stubs, receipts, travel documents such as airline tickets, bank statements, etc. are common documents offered at the hearing. As long as you have personal knowledge of what is contained in the document, it will probably be admissible evidence. Be sure to have at least 3 copies of the document with you at the hearing - one for the Judge, one for you, and one for the employer if they are present. If you know that you will be offering a document as evidence at the hearing you should give it to the other side prior to the hearing so that they can have a chance to look at it. (They need to do the same for you with any documents they have.) You can do this in the waiting area prior to the start of the hearing. "I declare under penalty of perjury under the laws of the State of California that the foregoing is true and correct. Executed on [ insert date ] at [ insert city ], California." If you have witnesses who will testify at the hearing, make sure they know to be at the hearing at least 15 minutes prior to the start time. They should accompany you into the hearing room. The Judge will ask you who they are so tell the Judge they are witnesses who are there to testify in your case. The Judge may or may not ask them to leave the room until their testimony is needed. Judges ordinarily don't like to take testimony from witnesses whose testimony is simply a repitition of what you yourself have already testified to. Therefore, when the Judge asks you what your witness intends to testify about, make sure there is something that the witness will say that is unique to that individual's personal knowledge and that adds someting new to the evidence already heard by the Judge. The Judge wants to hear testimony from a witness that is more than just cumulative of your testimony. Deciding what you are going to say is one of the most important things you can do in preparing for your appeal hearing. You have to know the difference between what is relevant to your case and what is not, and you need to include in your testimony what is likely to advance your theory of the case, and leave out the unimportant stuff. Your story has to make sense. It has to sound like what a reasonable person would do in the same or similar circumstances. And it has to sound believable. Ask yourself if your child told the same story to you that you are going to tell the Judge, would you believe your child. If not, what would make it more believable in your eyes. That is probably what would make it more believable in the eyes of the Judge as well. 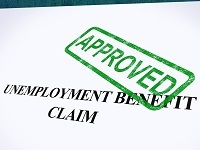 Get a Copy of Your File from the California Unemployment Insurance Appeals Board (CUIAB). Once the CUIAB has sent you the Notice of Hearing, they will have prepared a file in their office for your specific case. You are entitled to a copy of that file, at no charge to you. Get a copy of your file as soon as possible. This will be of invaluable help to you in preparing for the hearing. To get your copy of the file, you can go down to the office and pick it up. However, I would first call the office at the number located in the bottom left-hand corner of the Notice of Hearing to let them know you are coming so that it will be ready for you when you arrive. That way you may avoid having to wait for it. If you cannot go to the office, they will mail it to you, but be sure to tell them to mail it so that it gets to you before the hearing. You will notice that by the time you receive your Notice of Hearing, there is not much time to prepare for the hearing itself. In the bottom left-hand corner of the Notice of Hearing is the telephone number and fax number where you can contact your office of the CUIAB. Don't be afraid to contact them. They can be very helpful. I have always felt that conservative, business casual attire was appropriate for an individual to wear to the hearing. I would not wear shorts or a t-shirt. Jeans are ok if they look nice. If you want to wear something more professional, that is fine. We all know that our appearance can go a long way toward helping our credibility in court. How to Address the Judge. You can refer to the Administrative Law Judge (ALJ) as "Your Honor" or as "Sir" or "Ma'am." The ALJ knows that many people have no prior experience talking to a Judge, and they understand if you simply refer to them as "Sir" or "Ma'am." When the Judge is speaking, do not interrupt them. Always allow them to finish asking the question before you begin answering it. At the end of the hearing the Judge may give ask you if you have anything else to add to the testimony. Hopefully you have told the Judge everything you needed to say, and provided the Judge with all the doucments that were necessary to your case. If not, then this is the time to do it. You will not have another opportunity. If you have given documents to the Judge to look at that were not in the file, be sure that the Judge has accepted your documents as evidence into the record. You can ask the Judge to do so now. The Judge will not tell you his or her decision at the conclusion of the hearing. The Judge will inform you that he or she will issue a written opinion and mail it to you, usually within a couple of weeks. When you receive the decision read it. Note the date it was mailed, so that if you want to appeal the Judge's decision you can do so within the time required.